Conveniently located in Clackamas Oregon in the beautiful Pacific Northwest. 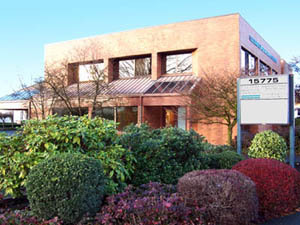 Pacific Infusion Center is a modern fully staffed unit serving the needs of patients in the Portland community. Every effort is made to assure a safe effective therapeutic intervention which maximizes patient comfort in our professionally staffed infusion center. One of our physicians is always on-site overseeing all patient care. We have been impressed with the quick sustained improvement of our patients with a variety of illnesses such as Crohn's Disease, Ulcerative Colitis, Rheumatoid Arthritis, Ankylosing Spondylitis, Vasculitis, Psoriatic Arthritis, Behcet's Disease and Sarcoidosis. DVD players and wireless internet access are available, so bring your favorite DVD and/or your laptop to make productive use of your stay with us.